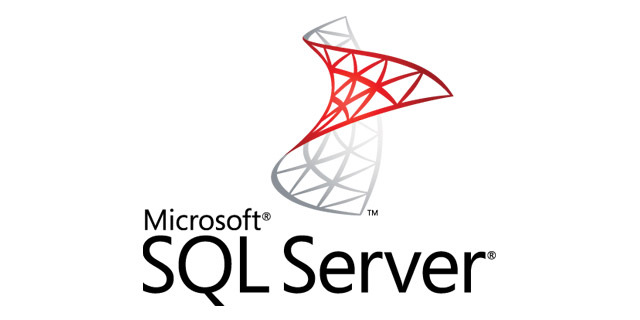 Microsoft’s SQL server is a database management system, with several editions that target different demographics. Released on April 1, the 2014 version offers new in-memory capabilities and assists read operations. It also provides disaster recovery and backup solutions in conjunction with Windows Azure. Traditionally, upgrades and new software are associated with complex interfaces that are difficult to navigate. The new Microsoft SQL Server boasts a user-friendly experience that is easy to learn and customize for your needs. It’s also simple to connect the new software to the SQL Azure Database, which only requires three steps. Aside from executing T-SQL queries, the 2014 Microsoft SQL Server boasts an estimated execution plan, actual execution plan, and client statistics. Quality Editor features that were previously incompatible with the cloud are now supported with the new update. This ensures the greatest productivity possible in today’s increasingly technological marketplace. When connected to SQL Azure, Object Explorer Details creates a tabular view of the objects. Through a user-friendly interface, each object can easily be managed. Users can even take advantage of bulk object scripting or bulk object deletion features through the 2014 edition. Many organizations are overwhelmed with the task of transporting their massive databases from on-premises SQL server to SQL Azure. The Generate Scripts Wizard with 2014 Microsoft SQL Server allows organizations to seamlessly migrate important data while mitigating risks of data loss or data theft. If you create objects in the database, you can utilize templates containing SQL scripts to make your efforts easier. This streamlined efficiency saves time and eliminates the possibility of error. Businesses serious about a stable, fast, secure, and reliable database engine must consider the benefits that Microsoft SQL Server has to offer. Considering all the benefits of the 2014 update, Microsoft makes it clear that its SQL server is one of the best value propositions in its market. Skills are widely available and varied; when coupled with the fast learning curve, the user-friendliness of Microsoft SQL Server cannot be understated. Since the server integrates seamlessly with Windows Server security settings, organizations enjoy peace of mind that their data is secure, whether in the cloud or on the computer. Microsoft has been consistently recognized for providing the most secure database solution available since 2002. Through 2010, there have been only 49 vulnerabilities in Microsoft SQL Servers around the globe. This is the fewest number for any brand ever recorded by the National Institute of Standards and Technology. From June 2010 until today, Microsoft SQL Servers boast a perfect record, as not a single vulnerability has been recorded by the NIST government agency. The SQL Server is called the foundation of Microsoft’s leading data platform solution. In-memory processing has been built into SQL Server 2014, creating a revolutionary performance that accelerates business and allows you to be more competitive in your market. New hybrid solutions including cloud backup protect your business from potential disasters and keep you technologically ahead of your competitors. Since 2014 Microsoft SQL Server comes with in-Memory OLTP, clients experience transaction processing that’s up to 30 times faster than older solutions. Do you need to make a query? Now you can enjoy speed over 100 times faster than previous versions. Significant data compression ensures top-notch performance without compromising security or quality. Enjoy reliable performance thanks to In-Memory Analysis Services. 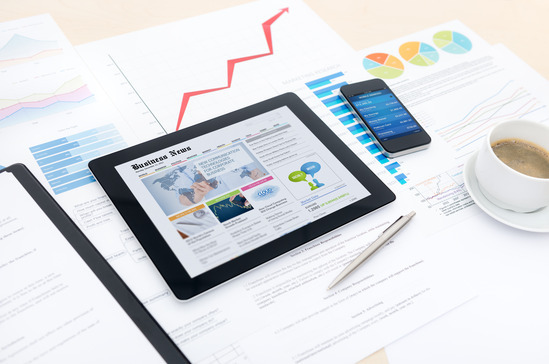 In today’s highly technological world, businesses that are able to review and tweak their strategy based on insights are far more likely to succeed. Faster insights from data give organizations the ability to optimize their workflow processes and create better services. Faster insights are available from self-service BI, which empowers team members with the tools necessary to make a meaningful decision, as well as corporate BI, which creates centralized data models. Analytics are useless unless your organization and its key players have the ability to quickly and securely access these insights from authorized devices. Speed insight across SQL Server or Microsoft Azure ensures the greatest access to information possible. Hybrid solutions are defining the ways organizations handle their data. From running servers to deploying databases, it’s critical to be able to trust a datacenter with your needs. Azure and Microsoft SQL Server 2014 are designed to store data on-premises and in the cloud. Furthermore, it’s important to ensure that your data and records are consistent across all of these platforms. The Windows Server Active Directly ensures that your databases are consistent and regularly updated on every platform. With so many solutions, it’s never been more practical and secure to fulfill high availability, ensure security, and safeguard your data from disaster. When building mission-critical applications and Big Data solutions, you can rest assured you have the tools and business intelligence necessary for success. Whether on-premises or in the cloud, Microsoft SQL Server 2014 simplifies the process for database management and an analysis system for line-of-business and e-commerce needs alike. To experience the full benefits that Microsoft SQL Server 2014 has to offer, businesses must also consider shared hosting, Windows VPS, or cloud VPS for their needs. An enterprise grade cloud for your business simplifies internal processes, ensuring that your clients get the best services possible. This ensures productivity, security, and greater efficiency. When coupled with Microsoft SQL Server 2014, your business will have the tools necessary for efficient database handling for mission-critical application. In-memory technology and faster insights will also create breakthrough performance in a hybrid data platform. Small to medium sized businesses and major corporations alike can benefit from the services that Microsoft SQL Server 2014 has to offer. When AccuWebHosting will offer MS SQL Server 2014? WebsitePanel community has recently rolled out latest version of Websitepanel Installer that supports MS SQL Server 2014. Since AccuWebHosting always believes in serving customers with latest technology, AccuWebHosting R&D team has successfully integrated WebsitePanel 2.1 with MS SQL 2014 well in advance. In fact, we are planning out to offer pre- installed MS SQL Server 2014 with Windows VPS plans in near future. We also want our Windows Shared customers take advantages of feature rich database technology of MS SQL Server 2014. But what holding us back is BETA version of WebsitePanel. At present, only WebsitePanel 2.1 (BETA) version supports MS SQL Server 2014. We do believe in advanced technology but we are more concerned about Security and Customer convenience. Current WebsitePanel version which support MS SQL Server 2014 is in Beta stage and full of bugs. We do not want our customers to take headache of patching around the Beta version everytime until Stable version rolled out. Therefore, we are awaiting for WebsitePanel community to release stable version of WebsitePanel 2.1. As soon WebsitePanel community rolling out the Stable version, we will offer MS SQL Server 2014 to our Windows VPS and shared customers. To learn more about the latest developments and how a MS SQL Server 2014 server can help strengthen your business, contact us today. How Does Windows Update Affect The Web Hosting Option?